The UK's government and military are trapped in a futile search for greatness, thus missing the country's true security challenges. 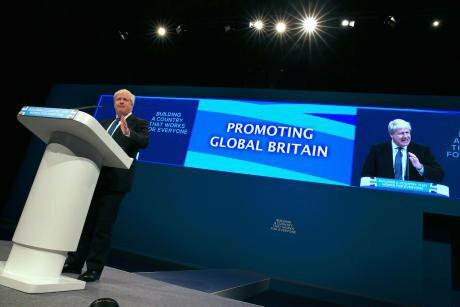 Foreign Secretary Boris Johnson delivering his speech at the Conservative party conference at the Manchester Central Convention Complex in Manchester. Peter Byrne/PA Images. All rights reserved.Several recent events at the heart of Britain's state and government suggest that the country's failure to come to terms with its post-imperial position in the world is turning critical. A prime exhibit is foreign secretary Boris Johnson, whose position and high profile make him a leading symbol of the United Kingdom's current status. His fixation with empire was reflected in a crass suggestion, during a visit in January 2017 to the Shwedagon temple in Yangon, Myanmar, that he might recite lines from Rudyard Kipling’s colonial-era poem "The Road to Mandalay". This was thankfully parried by the British ambassador. But nothing stopped him from addressing the Conservative Party conference this week in Manchester on the theme of "let the British lion roar". The embarrassingly dysfunctional Conservative gathering seemed in other ways to embody the desperate search for national purpose in the wake of Brexit, even as its language and attitudes aspired only to repackaging the past. There is much wider evidence of a move into an era of “The (British) Empire Strikes Back”. A significant example is the launch of two huge new aircraft-carriers. The lead ship of the pair, HMS Queen Elizabeth, has already been handed over to the Royal Navy for sea trials, and is now followed by the 65,000-ton supercarrier, HMS Prince of Wales. These are by far the largest warships to be deployed in Britain's history. With so much of the navy's power focused around such ships, it is ever easier to press the idea that Britain's way forward is the return to a global role. A speech delivered on 11 September by the navy’s senior admiral, Sir Philip Jones, reinforces the point. He argues precisely that carriers such as these now enable the UK to resume its old role in Asia and the Pacific, one largely abandoned in the 1970s after the military's withdrawal from "east of Suez". This is already happening: a small naval base has been constructed in Bahrain, the port of Duqm in Oman is being adapted to support the aircraft-carriers, and a defence office has been established in Singapore where the Royal Navy has berthing rights. Moreover, the UK is also preparing to help defend South Korea at a time of rising tensions in the region. Interestingly, the admiral linked this reorientation directly to Brexit and the UK’s need to develop new trading partners outside Europe. There is wide evidence of a move into an era of “The (British) Empire Strikes Back”. There is a catch, though. Warships of the size and complexity of the Queen Elizabeth or Prince of Wales will never operate on their own. The norm for these carriers will be, at the very least, a fleet comprising an air-defence destroyer, one or two anti-submarine frigates, a Royal Fleet Auxiliary supply-ship, a tanker, and a nuclear-powered attack-submarine. In recent months the navy has been able only to deploy frigates and destroyers in very small numbers – six or seven out of the nineteen theoretically available. This is unlikely to change any time soon because of long-term shortages of crew and a host of engineering problems. Certainly the navy will not have the resources to have more than one carrier at a time operational. The challenges here are steep enough. In addition, though, the Royal Navy is responsible for Britain’s submarine-based nuclear force. 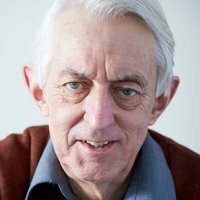 Since that requires “deterrence support” in the form of surface warships and attack-submarines, there is a real sense of Britain being reduced to a two-ship navy – able to deploy one carrier strike-group and one strategic nuclear-missile submarine, but not much else (see "Britain's deep-sea defence: out of time? ", 3 March 2016). Thus, the navy-led shift towards a revived global posture – analysed in depth in Global Britain: A Pacific Presence?, a new briefing by Richard Reeve for the Oxford Research Group – is accompanied by a great overstretch of resources and commitments. In this sense the fate of the Royal Navy is emblematic of the UK's deep-rooted desire for the status of a great power, or at least a pretty big power. This is a delusion. By the mid-2020s, the UK will be able to kill many millions of people in a nuclear war and to deploy a single supercarrier – largely as an appendage of the United States navy when it next goes to war. That will be about it as far as the Royal Navy is concerned, suggesting that the reality behind the pretence of a major power is merely a “bigger than average little power”. As well as a delusion, Britain's military direction is a lost opportunity – for it is already made irrelevant by the evolving global-security challenges that will dominate the 2020s and 2030s. On present trends, the world will by then have moved more fully towards extreme economic division and marginalisation, where millions experience accelerating climate disruption and an increased risk of irregular war. In face of all this, supercarriers and thermonuclear weapons really aren’t much use. It would be possible to design a foreign policy that was far more focused on conflict prevention, peacekeeping, peacebuilding and economic and environmental reform – all of which could begin to offer leadership in meeting these challenges. That option is a far cry from the current outlook, but it is there for the asking. If it were taken, Britain might at last replace fantasy with reality, get rid of its imperial shackles, and discover a truer form of “greatness”.